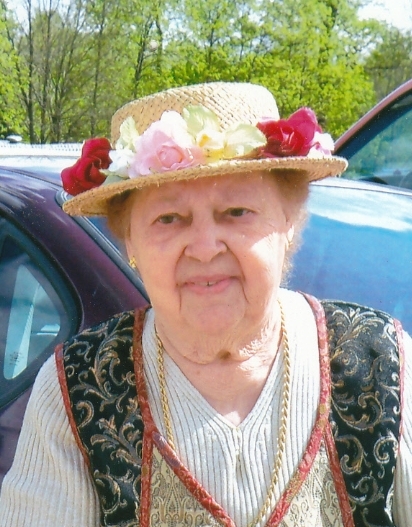 Violet Corrine Cole, age 99, resident of Shelby died Tuesday October 16, 2018 in the Willows at Willard. Born October 12, 1919 in Plymouth, Ohio to Ross & Ethel (Hostler) Vanbuskirk, she was a Shelby resident the majority of her life. A 1937 graduate of Plymouth High School, Violet along with her husband, Verne were owner/operators of the Wagon Wheel Camp Ground for many years. She had been formerly employed with the Shelby Depot and Shelby Business Forms. Violet had been a member of the Auburn Baptist Church and liked crocheting and cooking, especially making Christmas candy. She enjoyed driving her golf cart around the campgrounds and visiting with the campers. She is survived by her daughter, Nancy (James) McClure of Plymouth and son, Garry (Vicki) Cole of Shelby; grandchildren, Chad Cole, Amy (Ed) Wilde and Mark McClure and fiancé Felicia Gowitzka; great grandchildren, Lauren and Caroline Cole, Jason and Joshua Reese, Delainey and Harper McClure and Hunter Gowitkza. She was preceded in death by her parents; her husband, Verne Cole in 1997 and sister, Ruth Fortney. Private Family Services will be held at a later date. Memorial contributions may be made to Plymouth Area Historical Society, 7 East Main St., Plymouth, Ohio 44865. Barkdull Funeral Home & Crematory in Shelby is assisting the family with arrangements.